Kelly Hazlegrove fell in love with mountain biking in her late 20’s and was immediately drawn to developing her bike handling skills and tackling technical terrain. As she progressed, she knew she could do more to share her love of riding and grow her local mountain bike community; starting with co-founding a local mountain bike club, the Greater Lynchburg Off-Road Cyclists, then building her coaching pedigree through BICP. In 2014, after earning her Level 1 certification, she offered skills clinics and group rides. In 2015, and after only a few months of becoming a mother she completed her Level 2 instructor certification and began coaching women’s clinics throughout the region. 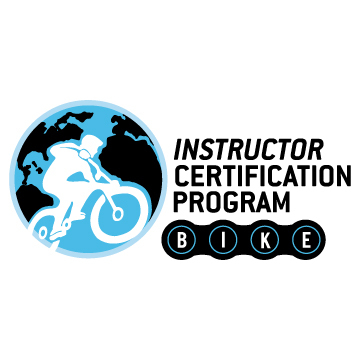 Now, Kelly is BICP Level 3 Certified and has her sights set on developing the next generation of mountain bikers by founding and coaching her local middle and high school NICA team! When she isn’t going for a rip with friends or witnessing the excitement of a student conquering a new skill or tackling a new trail feature, she’s a freshwater biologist for a state regulatory agency, participates in and supports local mountain bike races for fun, AND helps her husband’s bike shop.